What do these four superheroes have in common? Batman - Superman - Spiderman - and He-Man. Yep. That's correct. At one time or another they've all been depicted as women. Batman once sported a bra. Superman and Spiderman both like a sarong. And He-man still needs a bit more counselling to sort out his... err... condition. Now if you want to know what I mean by this, here, check out this cross-dressing special. The Marvel Maidens: From time to time Marvel just loves messing about with their heroes, especially if it gives their roster a new spin from an old tradition. 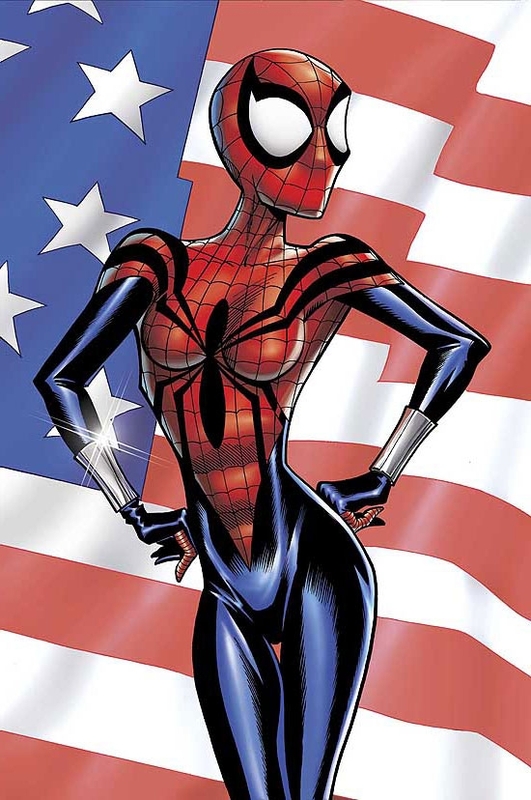 Spidergirl didn't do too bad on her own title, where as Captina-America and Punisher-ella were very nice to look at, in a strained sort of a way. The DC Damsels: Now DC's selection of swapped-gender heroes are either of the 'alternate-world variety' (like Aquawoman, Superwoman, and Batwoman), the 'stand-in replacement kind' (like Lady Flash), and as for 'Martian Womanhunter', well, he wanted to try something new. Please note, their has been a 'real Batwoman' in the DC Universe before. And she's just great. 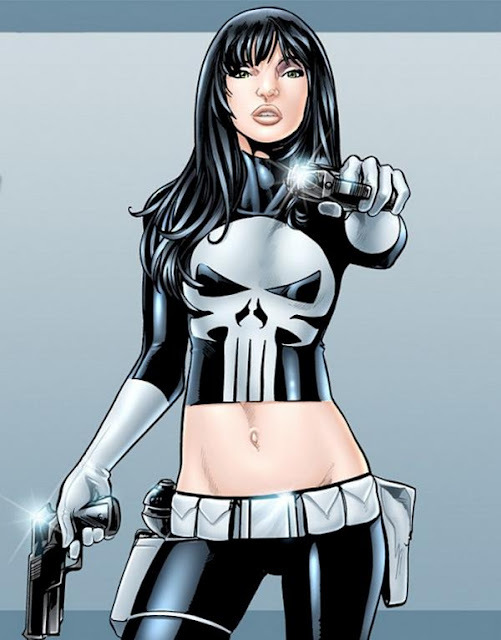 The Other Lovelies: Throughout their career, hero's and villain's from many different publications, have all had the chop in one way or the other. I thought that it was very nice when 'Lady Darth Vader' did her Marilyn Monroe impression. 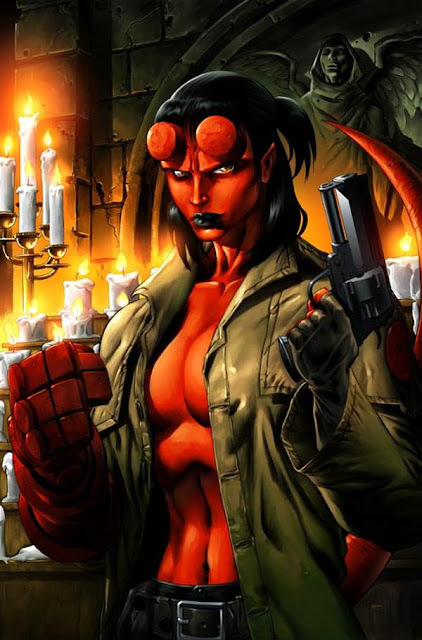 I also thought it amusing when 'Hell-Girl' wanted to tease the demons from the river Styx. But when 'He-She Man' did that trick with her own sword? Ouch! That sh*t must hurt!